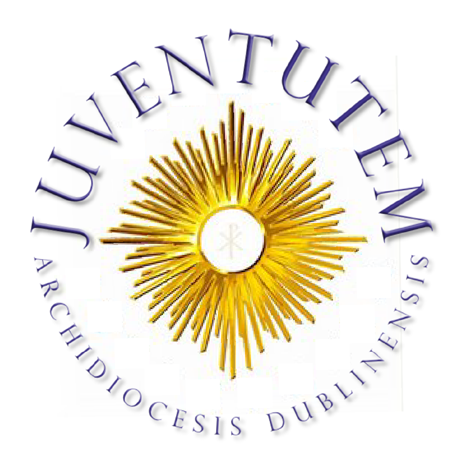 Juventutem Dublinensis: What is Juventutem? Introibo ad altare Dei. Ad Deum qui laetificat juventutem meam. (I will go in to the Altar of God. To God, who giveth joy to my youth). In the Catholic understanding, the term ‘juventutem’ refers to the spiritual youth that comes from the grace of Christ. Juventutem focuses on the daily sanctification of the youths according to the Latin traditions of the Catholic Church. Attending World Youth Days is one among the possible means provided in order to reach that goal. As a consequence, those who are unable to attend World Youth Days (for various reasons) are by no means prevented from joining. Membership is open to practising Catholics aged between 16 and 36 years. Members commit to daily recitation of Psalm xlii Judica Me, in Latin or another language, or to say a prayer of your choosing (Hail Mary or Our Father for instance); weekly to enter into a church or oratory to adore Our Lord really present in the tabernacle; once a year or more to attend Holy Mass in the 1962 Roman rite, go to Confession, on behalf of Juventutem, partake in some faith activity (Holy Hour, doctrinal talk, pro-life initiative, charitable action, excursion, etc).